Published on 30 December 2012. Mum and Dad are currently visiting Wendy and I in Newcastle for the New Year, so this evening we went to see Life of Pi – although without Wendy, as she’s on a nightshift tonight. 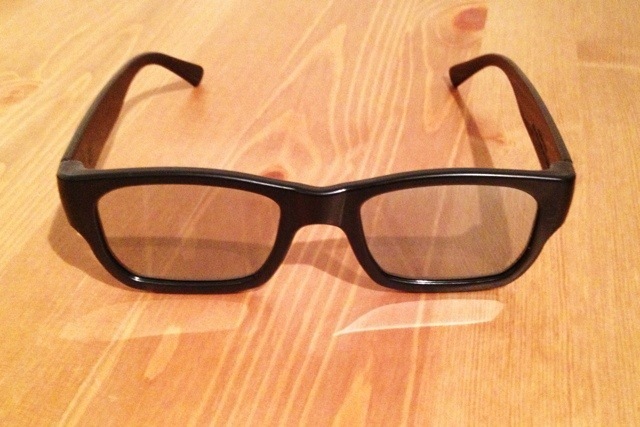 These are my 3D glasses. It was quite a good film – better than I expected – though it was a bit long in parts. Still, neither of my parents fell asleep, so it can’t have gone on too long! Tomorrow’s the last day of my year of photos, and yet I’m one behind where I should be! I’ll have to keep an extra keen eye out tomorrow to find two things to picture! This 1,950th post was filed under: Photo-a-day 2012.